The red tide is still present in the Tampa Bay areas abd along the Gulf Coast but much much better than it was 3-4 weeks ago. The red tide conditions we are seeing now in Pinellas County is low thanks to the recent east winds which have been pushing lots of this nasty stuff offshore and away from the beaches and to local cleanup crews which have done a great job collecting the dead fish. The waters are also starting to turn back to normal with good colorization and the bait starting to move back in. 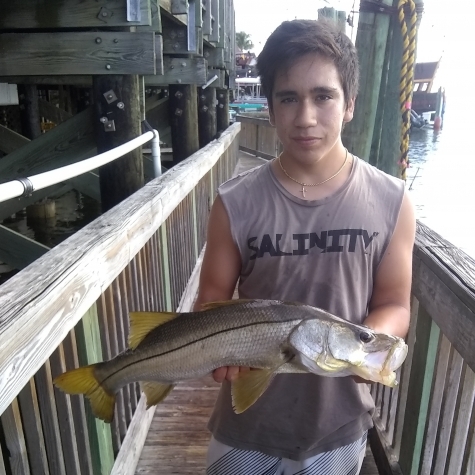 The fishing inshore is now returning to normal with lots of snook action and red fish action. The FWC has also issued temporary catch and release for snook and redfish in portions of the West Coast until May or further notice. The redfish have been in great numbers along the mangrove shoreline areas where you can see them tailing and able to sight cast with live or dead bait. During the fall the redfish bite is really good in the mornings and nights. The snook have been moving back to the canal areas from there spawning grounds in the beaches so look for these fish starting to move back in to the canals and bridges. My favorite bait would be a live shrimp, grunt, or grennie for the snook.